The Lovely Candy Company makes candy in small batches using only the finest, pure and simple ingredients. Their non-GMO candies are gluten-free and kosher, and don’t have any artificial colors, flavors or trans fats. 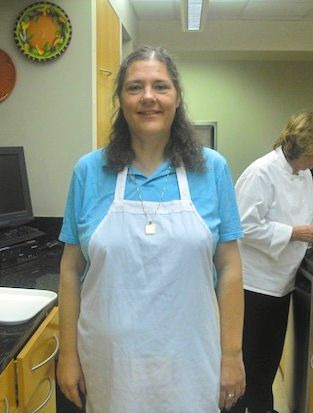 My youngest has been gluten-free for a good number of years now. When he was first diagnosed the amount of gluten-free snacks and other foods was pretty limited. The Lovely Candy Company is a family-owned company that makes candy in small batches using only the finest, pure and simple ingredients. Their non-GMO candies are gluten-free and kosher, and don’t have any artificial colors, flavors or trans fats. I recently received a selection of Lovely Candy products. If you’re into chewy treats, you’ll be interested in these. 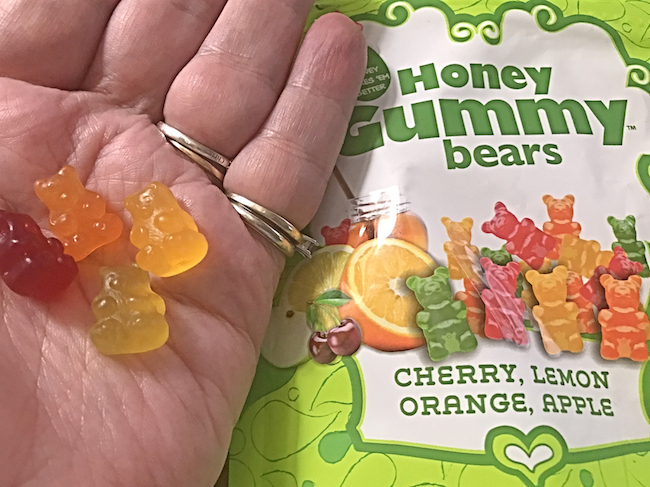 Honey Gummy Bears – Honey is the first ingredient in these gummy teats. There are cherry, orange, apple and lemon treats in each package. Packaging is either a 6 oz bag or a bag with 10 snack size bags inside. Cherry Licorice – This licorice has no high-fructose corn syrup and a nice fruity flavor, and comes in a 6 oz resealable bag. Organic Chewy Candies – One 5 oz resealable package contains individually wrapped strawberry, cherry and lemon chews. If you’re into hard candies, you’ll be interested in these. Organic Original Hard Candies – This 5 oz bag contains individually wrapped grape, cherry and apple hard candies. Organic Tropical Hard Candies – This 5 oz bag contains individually wrapped lemon, pomegranate, and mango hard candies. 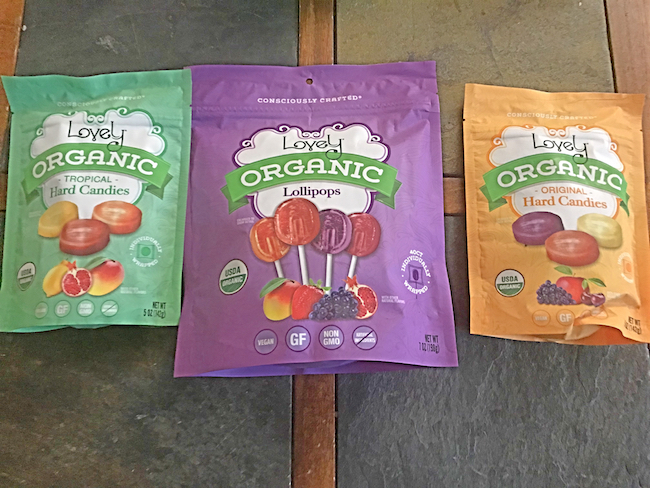 Organic Lollipops – The package includes grape, pomegranate and mango flavors. The lollipops are vegan and contain no high-fructose corn syrup. And if you’re into chocolate, you’ll definitely be interested in these. 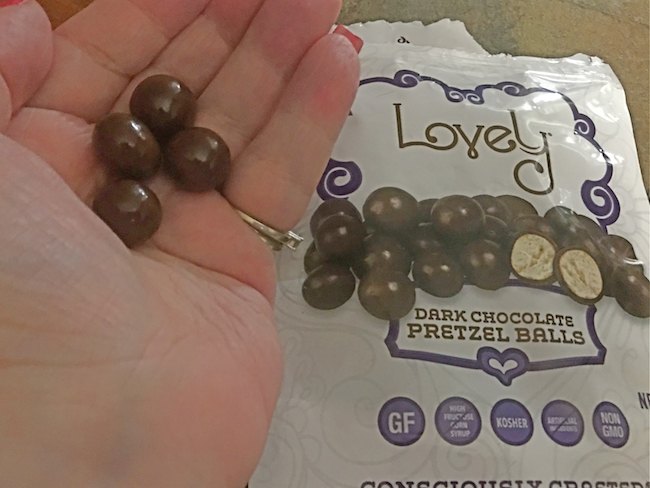 Dark Chocolate Dipped Pretzel Balls – These bite-sized treats are a perfect combination of sweet and salty as well as smooth and crunchy. The 5 oz bag is not resealable but it really doesn’t matter because they won’t last long. All of the treats were delicious. I use the word were because they disappeared quickly. Generally packaged foods marked gluten-free are only eaten by my son. We all tried these and enjoyed them. My two favorite treats were the Honey Gummy Bears and the Dark Chocolate Dipped Pretzel Balls. Not far behind those were the Chewy Candies, of which I liked the strawberry the best. My youngest, who is gluten-free, enjoyed a snack-sized package of Honey Gummy Bears every day until they were gone. Hubby really enjoyed both types of hard candy and kept some with him when he went to work each day. 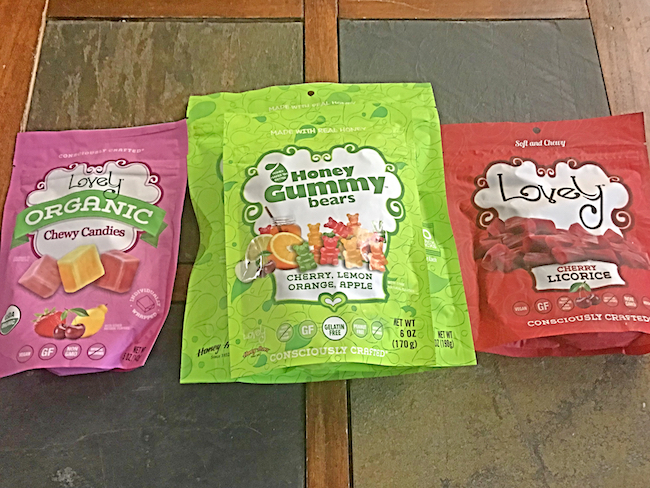 If you’re looking for some gluten-free candies for yourself or a loved one, be sure to check out The Lovely Candy Company. Products can be purchased from The Lovely Candy online store or visit the store locator for locations near you that carry them. 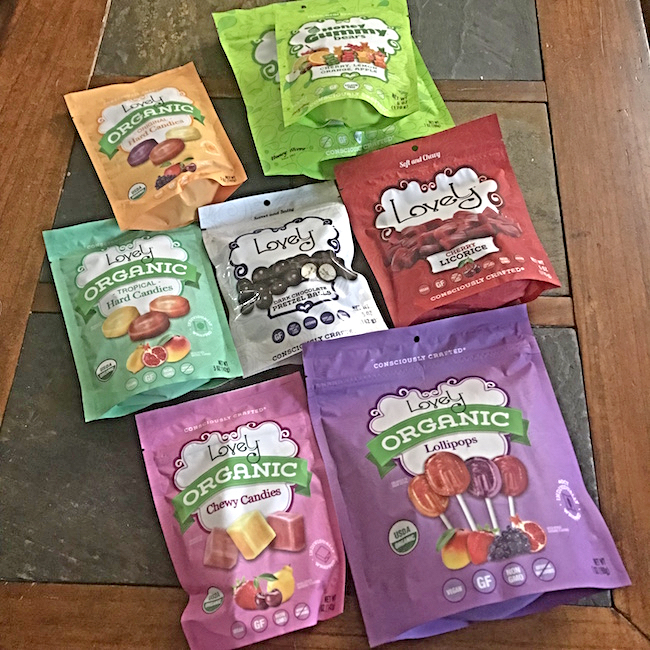 You can also purchase Lovely Candy on Amazon. Which of these treats would you like to try first? You can learn more about the products above and others on the The Lovely Candy Company website. You can also keep up with The Lovely Candy Company on social media, on Facebook, Twitter, Instagram and Pinterest. YUMMY!!! I do love a good candy treat once in a while. I like that these are gluten free for those who are on special diets. What a wonderful candy company. Yes! These look AMAZING. Candy is my weakness and I’m always looking for new places to snag some goodies! This sounds like a great company! We LOVE Gummy Bears! We’ve been making small changes and switching out where we can so these would be perfect for helping the sweet tooths in the house without all the added junk. I have never heard of this candy before but it all looks delicious! Those chocolate covered pretzel balls would be my favorite! Have I not tried this yet? I’m gluten free and am so looking into these yummy goodies asap!